The FBI is reportedly looking into the relationship between Gov. 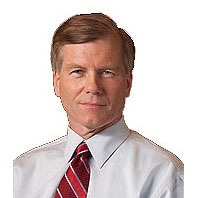 Bob McDonnell and Jonnie Williams, the CEO of a nutritional supplements manufacturer that is also under investigation by the Securities Exchange Commission. The FBI inquiry is looking into gifts the governor and his wife, Maureen, have received from Williams, the head of Star Scientific, and whether the governor or his administration aided the company in return. The Washington Post first reported on the FBI investigation into the matter on Monday. The probe is an outgrowth of a criminal investigation into former governor’s mansion chef Todd Schneider, who stands accused of taking state property during his tenure at the mansion between 2010 and early 2012. Schneider’s attorneys, in filings related to the case against Schneider, has told investigators that he was told to take state-purchased food as payment for personal service, and that others had also engaged in the practice of taking cases of food and other supplies from the mansion for personal use. As part of the filings, Schneider alleges that Williams paid $15,000 to help cover catering costs for the June 2011 wedding of McDonnell’s daughter, Caitlin, that the governor did not then disclose on his January 2012 statement of economic interests, citing state laws that require reporting only in cases involving elected officials themselves, not family members. Also as part of the filings, Schneider alleges that Attorney General Ken Cuccinelli has engaged his office in prosecuting Schneider in an attempt to provide political cover to his own 2013 gubernatorial bid.